New Delhi: Maruti Suzuki India Ltd, the nation’s biggest car maker, and 13 other car makers were fined Rs.2,554 crore by the antitrust regulator for failing to sell spare parts in the open market, violating competition law. The other companies on which penalties have been imposed include Mahindra and Mahindra Ltd, Tata Motors Ltd, Toyota Motor Co., Honda Motor Co., Volkswagen, Fiat, Ford Motor India Pvt. Ltd, General Motors, Nissan, Hindustan Motors, Mercedes and Skoda. Car companies denied access to branded spare parts and diagnostic tools to independent repairers, hampering their ability to repair and maintain certain car models, the Competition Commission of India (CCI) said in a statement on Monday. The monopolistic control over the spare parts and diagnostic tools markets allowed these companies to charge arbitrary and high prices, it said. “The commission found that the conduct of the car companies was in violation of the provisions of section 3(4) of the Act with respect to its agreements with local original equipment suppliers (OESs) and agreements with authorized dealers whereby it imposed absolute restrictive covenants and completely foreclosed the after-market for supply of spare parts and other diagnostic tools,” CCI said in the statement. The competition regulator has directed the car companies to “cease and desist from indulging in conduct which has been found to be in contravention of the provisions of the Act”. The car companies were also directed by the commission to put in place an effective system to make the spare parts and diagnostic tools easily available in the open market for customers and independent repairers. It also asked the car companies not to put any other restrictions on the operation of independent repairers. Tata Motors was fined Rs.1,346.46 crore, the highest, followed by Maruti Suzuki at Rs.471.14 crore and Mahindra and Mahindra at Rs.292.25 crore. 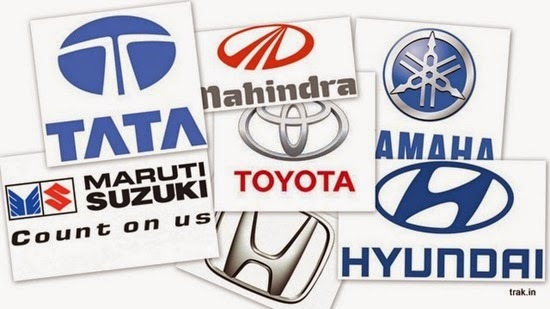 Toyota Kirloskar Motors will have to pay Rs.93.38 crore, General Motors Rs.84.58 crore; Honda Rs.78.47 crore, Skoda Auto India Rs.46.39 crore, Ford India Rs.39.78 crore, Fiat India Automobiles Ltd Rs.29.98 crore, Mercedes-Benz- Rs.23.08 crore, BMW India Ltd Rs.20.41 crore, Hindustan Motors Rs.13.85 crore, Volkswagen India Pvt. Ltd Rs.3.25 crore and Nissan Motors Rs.1.63 crore. A Tata Motors spokeswoman said she did not have any official information until late Monday evening. Hyundai, Honda and Ford, too, declined to comment immediately. The regulator’s investigation into the practices of the car makers followed a complaint by Shamsher Kataria, who had complained that car makers were following anti-competitive practices by restricting the sale of spare parts. Kataria had filed the complaint in January 2011 against Honda Cars India Ltd, Volkswagen India and Fiat India Automobiles Ltd In April 2011, CCI extended its probe to other manufacturers when it found others following similar practices. Hyundai had obtained a stay order from the Madras high court against CCI’s proceedings in February 2013. The company argued CCI had, on its own, expanded the scope of its investigation to cover the entire car industry even though it had originally received a complaint only against the three car makers. The commission had investigated 17 companies in the case. The three that were not immediately fined are: Premier Ltd, Mahindra Reva Electric Car Co. and Hyundai Motor India Ltd. The commission however said that a separate order shall be passed with respect to them “after affording them reasonable opportunity to make their submissions in respect of the findings.” On 8 July, Business Standard newspaper reported that the Madras high court dismissed petitions of Nissan Motors India Pvt. Ltd and Hyundai Motor India against the decision of CCI to initiate investigation against all car manufacturers. On 13 August, Mint had reported that some of the companies being probed had begun selling spare parts over the counter, even as the CCI probe was on. These included Ford Motor India, Hyundai Motor India and Tata Motors.